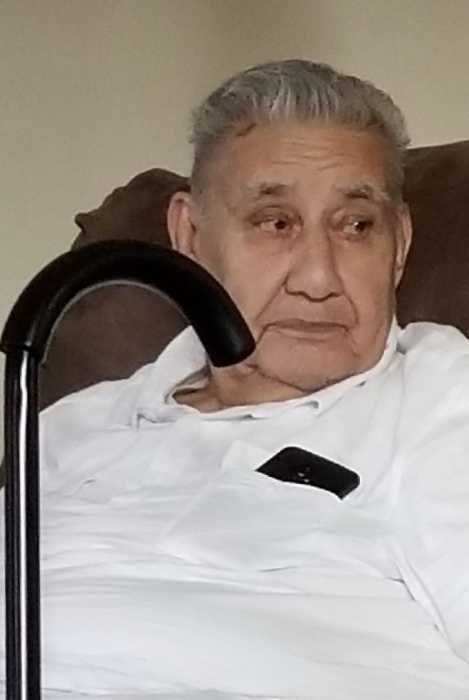 Alfred Medina, 85, passed away on August 30, 2018, born January 29, 1933 in Walsenburg, CO, to proud parents Angel and Lucy (Terraza) Medina who both precede him in death along with his wife Corrine; siblings, Angelo, Gloria and Louie. He enjoyed going out to eat, going to cripple creek and taking his daily walks which were known as "Romeo" flirting with the ladies. But most of all being with his family especially his grandchildren, who were his world. Alfred is survived by his children, Theresa (Gus) Rick, Valerie (Rick) Genova; grandchildren, Brandon, Kayla, Monique, Matthew (Amber), Dalton, Mazrel, Marco and Maurio; 8 great grandchildren; 2 sisters; 2 brothers, several nieces, nephews, cousins, other relatives and friends. Cremation has taken place, no formal services.